Smartphones with 18:9 screens are often expensive. But, Cloudfone has recently changed the game with the release of the Next Infinity. Priced at just PHP 6,999, the Cloudfone Next Infinity is the most affordable smartphone in the country packed with the trendy 18:9 Infinite Vision Display. The Infinite Vision Display is the company's version of the FullView screen tech found on other smartphones. See also: Cloudfone Next Infinity series w/ 18:9 screen goes official, price starts at PHP 6,999! Basically, it means that the Next Infinity now is now using the futuristic 18:9 screen aspect ratio w/ narrow top, bottom, and side bezels to maximize your viewing experience and make the phone look sleeker in general. In addition, Cloudfone boasts that the Next Infinity is a good photography and selfie phone considering its low asking price. Quite intriguing right? Read on! Disclaimer: Cloudfone is an advertiser of this website, but rest is assured of our honest review always. Next Infinity's packaging is neat and simple. Inside, you're in for a treat. The Next Infinity package is quite loaded! First, you'll see the 1.55A USB wall charger followed by the USB to micro USB data / charging cables, and earbuds with microphone. Then you'll find its FREE screen protector and pretty good quality case. It is also complete w/ the paper documentations including the warranty policy. Cloudfone's build is consistent, but better than ever (for the price). Like their previous offerings, the Next Infinity features a well made metal casing w/ proper rounded corners and edges. Inside, the body is made out of a nice type of polycarbonate material. In front, you'll see the really sleek type of 18:9 screen w/ 2.5D curved glass on top. However, it has no mention of any glass protection against light scratches. Fortunately, there's a FREE screen protector in the package that you may use to avoid scratches. Plus, you may use the FREE TPU case in the package to fully protect your device. Design-wise, it reminds us of a budget Galaxy S8! This phone simply looks superb. It even has rounded corners on its 18:9 screen. Top, bottom, and side bezels are also very slim for the price. The camera hump behind is minimal and forgivable as well. No doubt, design is superb! As a result, the phone has a phablet-sized 5.7-inch display, but it feels just like a 5.2-inch phone to hold. We also liked that it has proper curves all over. Grip is isn't just the best. Its paint finish at the back is quite slippery to hold. But again, just use the TPU case and you'll be fine. Most of the ports and buttons are on standard locations too. The speaker hole's placement would have been better if it is not at the back as your palm may block the sound coming from it when in use. Overall, this is arguably the most beautiful looking phone at this price point. 1. For the price, this handset is arguably the sleekest looking out there. Why? It is the only handset that has an 18:9 screen for PHP 6,999. 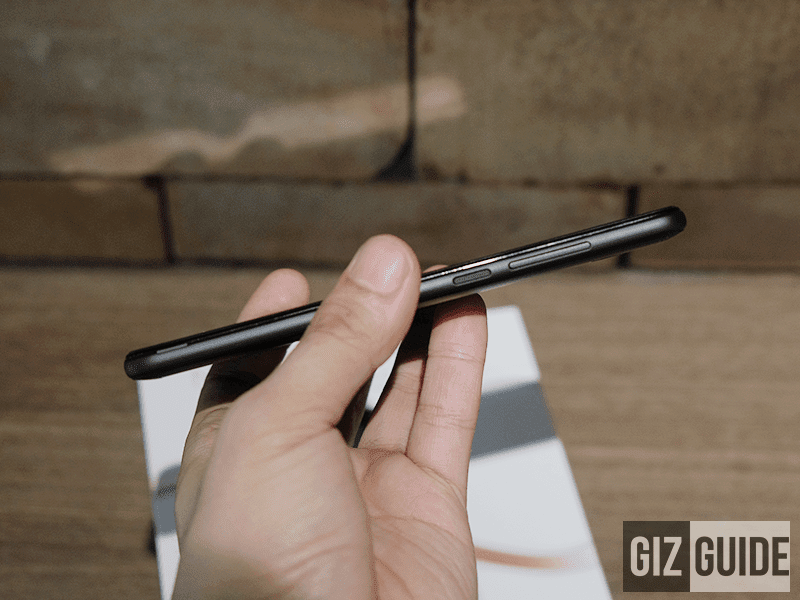 This phone is also slim and small considering it has a big 5.7-inch HD+ screen. The screen quality pretty great as well so far. 2. For a photography centric smartphone, the 1.4GHz 64-bit Snapdragon 425 quad-core processor paired w/ 3GB RAM should be enough. Battery at 2,900mAh is just right. Storage would have been bigger though. But, we all know that you can't have it all at this price point. Still more than decent. 3. 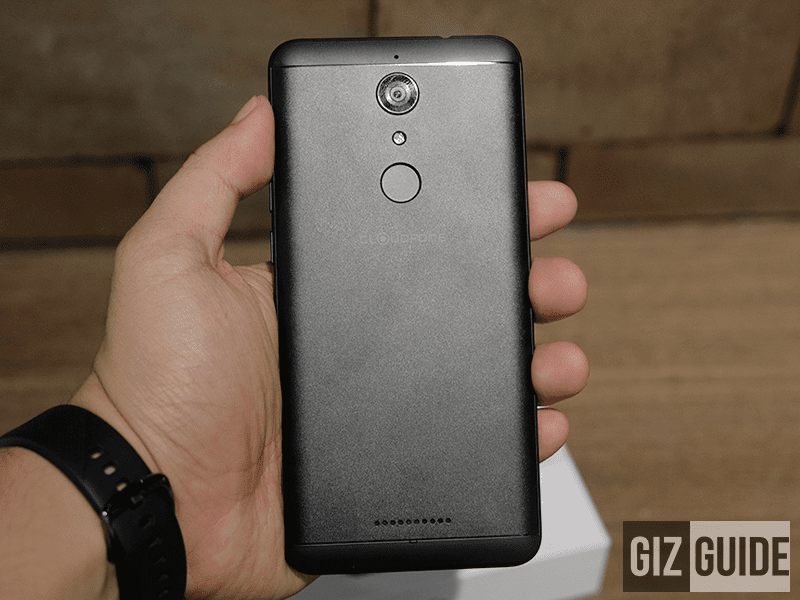 Currently, this phone boasts Android 7.1.2 Nougat OS w/ custom Cloudfone skin. It has no app drawer, but its feature-rich and very easy to use. It will be updated to Android 8.0 Oreo soon! 4. Camera-wise, I'm personally intrigued. 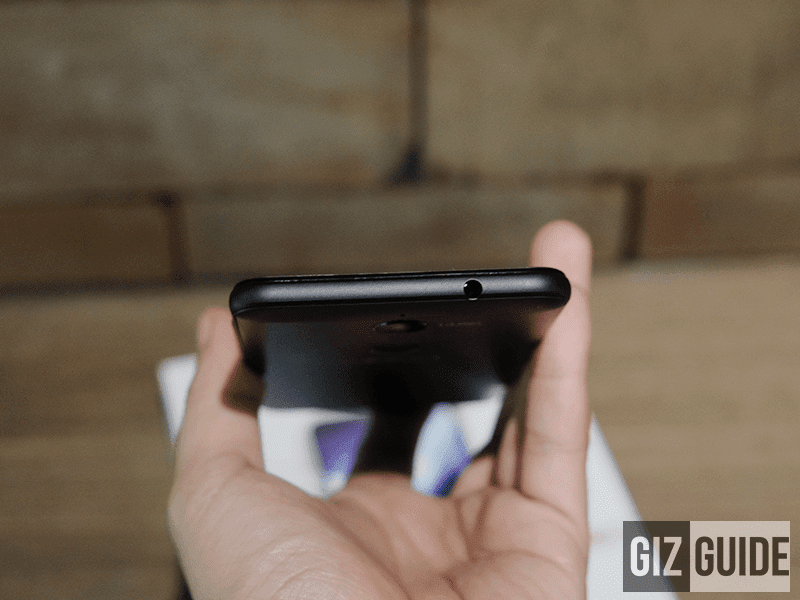 Behind, it has a 13MP f/2.0 sensor that has PDAF focus and portrait mode. Quality of both back and front cameras are capable for this price point so far. Watch out for our camera samples soon. 5. Since its using a near all screen design, it has no capacitive keys anymore, it has on-screen keys instead. This handset also has LED notification, 700MHz LTE, OTG, gyroscope sensor, and light sensor. It's not on USB Type-C yet. Design-wise, this is arguably the sleekest looking phone for the price. It's also the most affordable phone with the modern and beautiful 18:9 screen aspect ratio for just PHP 6,999. Camera specs, the selfie cam in particular is very impressive so far as well. 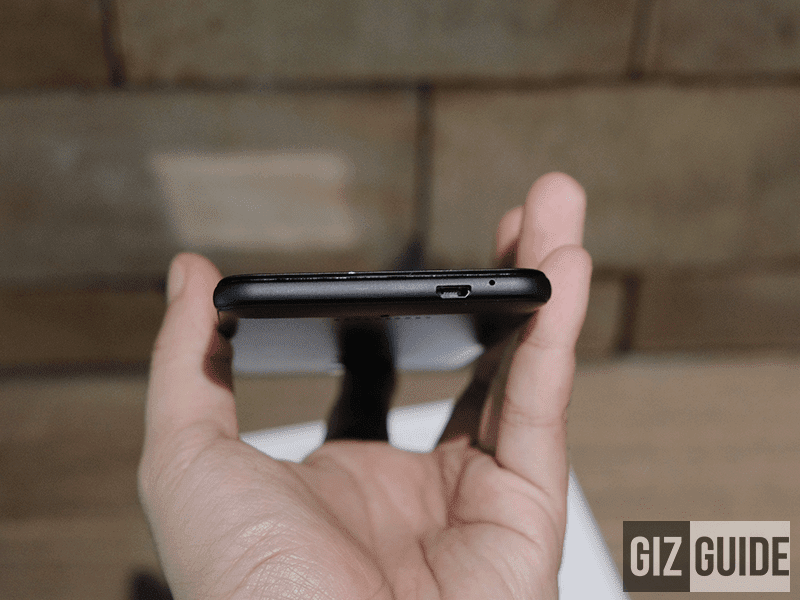 We also like that it has 3GB RAM and fingerprint scanner at the back. The chip it is using is isn't designed for gaming, but it should be more than enough for social media applications and mobile photography. 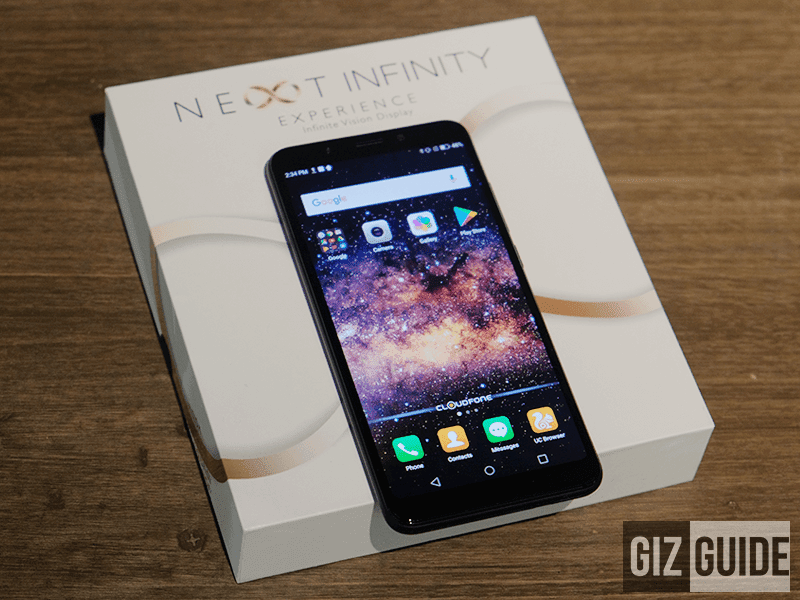 For our review: Cloudfone Next Infinity Review - Camera-centric 18:9 at PHP 7K!